So I spent today at home sick, but I'll return to work tomorrow. Since I was not entirely energetic, I spent the day doing a little mental homework by reviewing my Superman: The Movie DVD, and then watching the bonus features. Have you forgotten so quickly, Leaguers? Jim D. has locked in a print of Superman: The Movie, and he's showing it at the beautiful Jefferson Theater in idyllic Beaumont, Texas. The screenings will occur the evening of July 22nd and the afternoon of July 23rd. In addition to the screenings of Superman: The Movie, Jim is also trying to get a print of the 1980 sci-fi extravaganza, Flash Gordon (starring Max von Sydow). I have some reading and brushing up to do in regards to Superman: The Movie as our own Jim D. has asked The League to blather on for a few minutes before the movie begins. And The League doesn't like being unprepared when we have to look into the impassive eyes of an irritable East-Texas audience. I think Jim wants for me to plan an amusement or two for the lobby, but short of offering to shave everyone's head in true Lex Luthor fashion, I am not yet sure what to offer. So what is The League saying? Loyal Leaguers, book your flights and hotel rooms now, because The League is going to pastoral Beaumont, Texas for about 24 hours. Post-screening, Jim D. has promised the finest food of The East, and that we shall haunt the hippest bar in all of Beaumont until the wee, wee hours. Sounds like a peach of a plan, and I'm on it. July 23rd. We'll make it a Super-League weekend in bucolic Beaumont, Texas. The first 50 Leaguers to show up will receive a punch in the breadbasket from Mrs. League. The Man of Steel looks on from 50,000 ft. as Mrs. League slugs another Leaguer. The League has fallen ill, Leaguers. Some yucky hacking and wheezing has accompanied blood coming out of my tear ducts. No, not really. I think I just picked up Cousin Jim's cold a bit during the wedding. Anyhoo, The League has raised himself from his sick bed with a tale of caution for these egg-head scientists. Have these scientists never borne witness to humanity's final fate? Oh, when will we learn to quit playing God? It ain't just egghead scientists trying to use chimps for their own nefarious purposes. Fellow comic/ monkey enthusiast and blogger Heidi has dug up this article on the Mesa, AZ police department vis-a-vis the use of our simian chums. Or, cut right to the chase and read the article here. I am very tired. That whole two hour time difference can wreak a small bit of havoc on your schedule. The wedding was great. I got to be in it and wear a tuxedo and everything. Steanso was also in tux as well, but did not cut so fine a figure as The League. John B's family came in from parts mid-western and yon, while Julie's family is mostly based out of Houston, so there we got to meet quite a few from both sides. Good folks. The League thinks dancing is mostly a very silly affair, but was not afraid to cut a rug when Mrs. League hit the dance floor (she is quite a dancer, you should know). 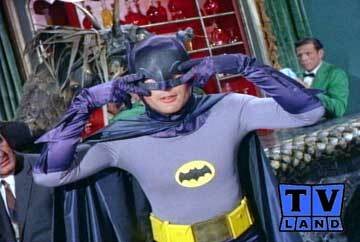 The League managed to pull off "The Batusi" without drawing too much attention to himself, but attempts at "The Robot" drew more attention than The League was expecting. Leaguers, if there is an official dance of League HQ, it is, without a question, The Robot. Yes, yes... Batman has the Batusi and Superman has the Krypton Crawl, but nothing beats the sheer joy of locking and popping to darn near any song. The League was totally getting into his locking and popping, and was just beginning to get an appreciative audience when the DJ switched songs and chose a very Robot-unfriendly tune to play. Dammit, I had "Brass Monkey" going and a circle of folks clapping to the beat. That hadn't happened since, like, 5th grade. Or my own wedding. Whatever. I also managed to catch up with John's brother, Jim, and meet his wife. Cool couple. In addition to being a naval aviator, apparently Jim also raises Alpacas in the Nevada wilderness. So if Jim comes down to Phoenix for an Alpaca Show (no, I don't know, either...) I may get to see he and Michelle. And that ain't a bad thing. Anyway, John and Julie are now safely married. It was a good time had by all. I wsh them the best, even though I know they'll get it anyway. Can't wait to get back to Houston to see them without all this wedding stuff going on.